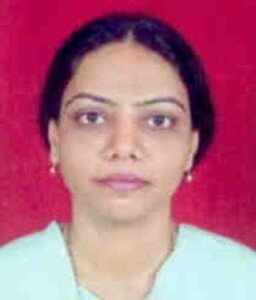 Dr. Munira Barot presently works as a Lecturer in Department of Physiology, Seth G.S. Medical College. She developed a keen interest in the field of medical education technology (MET) after participating in the MET Cell workshop at Seth G.S. Medical College, initially as a participant and later as a faculty member. She was born in Thane and finished her schooling there. She completed her MBBS degree at Rajiv Gandhi Medical College. She completed her MD from Grant Medical College. 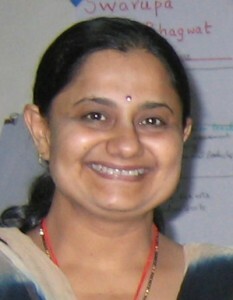 I am Dr. Smita Anand Bijwe, residing in Amravati, Maharashtra, India. I did my schooling in Bangalore and earned my MBBS and MD in obstetrics and gynecology form B. J. Medical College, Pune. I worked as Consultant at Christian Mission Hospital for three years and joined Dr. P.D.M. Medical College, Amravati. Presently I am Associate Professor and Unit In-charge. I enjoy teaching and keeping myself updated in my specialty. My husband, Dr. Anand, is a surgeon and has completed a fellowship in trauma care. He is very encouraging. I have two lovely children, Astha and Eshan. They are interested in sports. 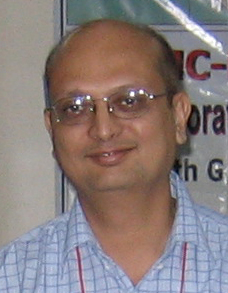 I am Dr. Sanjay Kumar Diwan, born on 11th Nov., 1962. I did my medical undergraduate and postgraduate work at Gandhi Medical College, Bhopal. Teaching has been my passion and I have been doing it for more than 19 years. I am married to Niharika, who is a lecturer in dietetics. We have two lovely kids, Amartya and Tanvi. In addtion to serving as professor in medicine, I am actively involved as a faculty member in the Department of Medical Education. This idea of joining a fellowship programme was under active consideration for 2-3years. 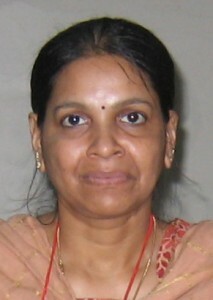 Dr. Madhuri Kate presently works as Professor in the Department of Pathology at Padmashree Dr. D.Y. Patil Medical College, Navi Mumbai. She has more 10 years of teaching experience. In her previous position, as Professor of Pathology at Mahtma Gandhi Mission (MGM) Medical College in Navi Mumbai, she was a member of the medical education technology (MET) cell. She was also the In-charge of undergraduate teaching of pathology for 3rd and the 4th semester students, and one of the faculty members teaching postgraduate students. She had the experience of being the Centre In-charge for the Maharashtra University of Health Sciences (MUHS) examinations. She was also a member of the Research Secretariat of MGM. She was 18th in the merit list of 12th board exams and highest in English in the state of Maharashtra. 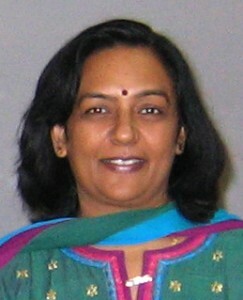 She also represented her college at the state level in badminton and was named best student for the year 1982. She earner her MBBS and MD from Government Medical College, Nagpur. 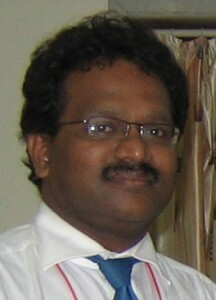 I am Prashanth Kumar M, presently working as Professor of Physiology at M.S. Ramaiah Medical College, Bangalore. I teach first-year medical, dental physiotherapy and nursing students. I am a recognized postgraduate guide for physiology and allied sciences. I am an active member of the Medical Education Cell of the institution. My areas of interest are stress in medical students and their coping techniques, and the predictive value of formative assessment on the outcome in a summative assessment. I am pursuing a diploma course in diabetology and propose to establish a specialty practice shortly. I was born in Birur, a small town in Karnataka, but have grown up almost entirely in Bangalore. I graduated from JJM Medical College, Davangere, and completed my postgraduate work at Bangalore Medical College, Bangalore, in 1998. Since then I have had the experience of working in four different medical colleges as a faculty member in physiology. I have been working at my present institute since 2005. My wife has done her postgraduate work in computer science and she is teaching in a pre-university college. My daughter is presently studying at Ryan International School, Bangalore. I love watching movies and swimming. This is Prashanth signing out. I am Savita Marathe, presently working as Lecturer in the Department of Medical Education & Technology at the Maharashtra University of Health Sciences (MUHS) Regional Centre, Pune. I earned my Master’s in Clinical Embryology from the University of Leeds, UK. I worked as an embryologist in an in vitro fertilization (IVF) centre in Pune. My special interest in academics and community outreach programs brought me to the Department of Medical Education of MUHS. I have been associated with the Department of Medical Education and Technology at MUHS since its inception (from May 2007). MUHS has about 253 health science teaching institutes under its umbrella across the state of Maharashtra. The Department of MET is the first of its kind in the country, training teachers in all areas of health sciences, including medical, dental, Ayurved, Unani, homeopathy, physiotherapy, and nursing. Many workshops on medical education have been conducted and more than 400 teachers have taken training in these workshops. I am responsible for planning the monthly introductory workshops on medical education and technology. It requires planning of the future dates of the workshop, revision of the curriculum if required, and communicating with and arranging faculty for the workshop. I have also recently started taking some lectures in these workshops. I was born and completed my schooling and undergraduate training in Pune, the educational and now an information technology hub of India. I have two lovely daughters. My elder daughter is doing her MBBS at Rural Medical College, Loni, Ahmednagar District, in Maharashtra. My younger daughter has appeared for the 10th standard SSC examination and is a football and rugby player. After taking care of my duties as a mother, I now want to work for the community, to which, I feel we all owe something. I am a complete movie buff. I also like traveling, especially to the sea coasts. I am Shruti Mohanty, presently working as Associate Professor of Biochemistry at Kamineni Institute of Medical Sciences, Narketpally. I obtained my MD and MBBS degrees from Maharaja Krishna Chandra Gajapati (MKCG) Medical College, Berhampur, and Veer Surendra Sai (VSS) Medical College, Sambalpur, Orissa, respectively. I have a keen interest in clinical biochemistry, particularly endocrinology and inborn errors of metabolism. Having been with Kamineni Institute of Medical Sciences since its inception, I have been assigned several administrative responsibilities, including Deputy Warden of the girls hostel and member of the grievance committee of students and faculty. I am In-charge of the department and a member of the curriculum committee. I am also a resource person for the institution’s medical education unit. I was born and brought up in Rourkela, the Steel City of Orissa, where my father worked in the steel plant. My hobbies are gardening and music. 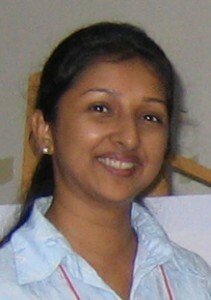 I am Dr. Ajita Nayak, currently an Associate Professor in the Department of Psychiatry at G.S. Medical College & King Edward Memorial Hospital (KEMH), Mumbai, India. I am in charge of one of the two units in the department, and I am jointly looking after the child psychiatry section of the department. I am also a faculty member of the psychiatry division of the HIV training programs conducted at the institute. I am a postgraduate teacher in psychiatry. My special interests include child psychiatry and psychiatric education and research. I was born in Mumbai and completed my schooling here. I was an MBBS undergraduate student of GSMC and did my postgraduate work (MD in Psychiatry) from Grant Medical College (Jamshedjee Jeejeebhoy Hospital). After working as a Lecturer and Associate Professor of Psychiatry at Topiwala National Medical College (Nair Hospital), I joined KEMH in July 2007. I have been the Hon. 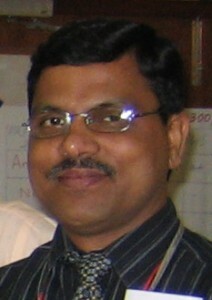 Secretary of the Bombay Psychiatric Society and have also been the Treasurer of the Research Society of Nair Hospital. I am married and currently living in Thane. I like to read and listen to light music in my spare time. Hello everybody, greetings from Manipal. I am Vinod, currently working as Lecturer in the Department of Microbiology, Melaka Manipal Medical College, Manipal University, in Manipal, Karnataka. I am also an adjunct faculty member in the Department of Medical Education, Kasturba Medical College, Manipal University. I am a microbiologist by profession and a teacher by passion. Currently, I have more than eight years of teaching experience. In addition to teaching MBBS students, I am involved in diagnostics, and I am also the coordinator of the microbiology component of the BSc Optometry and MSc Hospital and Health Information Administration courses of Manipal University. I was born and bought up in Thrissur, Kerala, the city of the festival called “Thrissur Pooram.” My father was in the revenue service, and my mother was a teacher. I have a brother who is settled with family in Thrissur itself. I graduated from Sree Kerala Varma College, Thrissur, and completed my postgraduate work from Kasturba Medical College, Manipal. I am married and we are blessed with a young son. I enjoy reading, watching cricket, and movies. 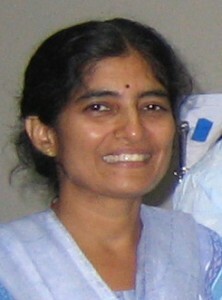 Dr. Varsha Phadke works as Professor of Paediatrics at K.J. Somaiya Medical College and Hospital. She is head of a unit and in charge of the paediatric nephrology division of the department. She has been teaching undergraduate and postgraduate students for more than 15 years. 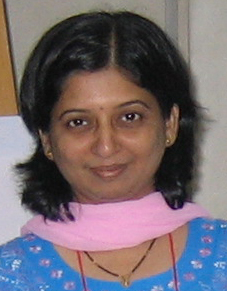 She has participated as a faculty member in MET courses conducted at her institute. 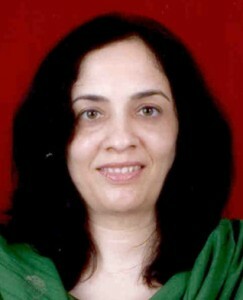 She also holds the post of Executive Board Member of the Indian Academy of Paediatrics, Mumbai. She completed her schooling in Mumbai. She did her MBBS and MD from Seth G.S. Medical College and King Edward Memorial Hospital. Her hobbies are painting and listening to old Hindi movie songs. 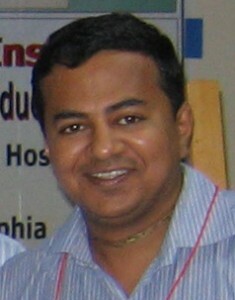 I am Chinmay Shah, presently working as Assistant Professor of Physiology at Goverment Medical College, Bhavnagar. I have a special interest in reproductive physiology and I am member of the editorial committee of our college news bulletin. I was also a member of the editorial committee of “Medicreation,” an official publication of the Indian Medical Association (IMA), Bhavnagar Branch. 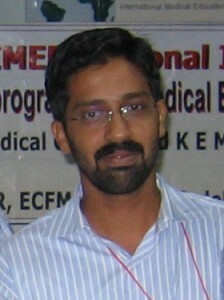 Presently I am working as reviewer for the Calicut Medical Journal. I am a member of the continuing medical education (CME) cell and the medical education cell of Government Medical College. I have attended more than 29 conferences, workshops, and training classes, including two on training for improvement in teaching and evaluation and one with the the National Institute of Health and Family Welfare (NIHFW) that was related to reproductive Biomedicine. I was born at Nadiyad and completed my schooling and MBBS at Bhavnagar. 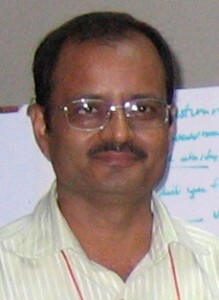 I am currently residing in Bhavnagar, and have been for 29 years. I earned my MD from Shri M.P. Shah Medical College. My wife is a Panchkarma Physician and I have one lovely daughter. My brother is studying for a master’s in homeopathy, so we have all three “pathy” in our home, truly “holistic health.” I enjoy drama and other cultural activities. Presently a lecturer at Goa Medical College, I have been associated in the past with prestigious institutes like Gujarat Cancer Research Institute (GCRI), Ahmedabad; Tata Memorial Hospital (TMH), Mumbai; Ruby Hall Clinic, Pune, etc., in various capacities. I am an adjunct faculty member of the medical education cell of Goa Medical College. I have been keenly interested in Medical Education since 1997, when I had my first workshop in medical education technology. Born in Gujarat and brought up in Goa, I have undergone my entire education in Goa including MBBS and MD from Goa Medical College. My main inspiration has been my husband, Mr. Kishore M. Shah, a dynamic personality who is the director of our firm, Ideaz Unlimited. True to its name, through the firm, he has facilitated many success stories in major corporations, academic institutes (management), government departments, and non-governmental organizations. I would say that he is an institute by himself. My son Aumkar, a bright, happy, and loving child, has been instrumental in teaching me the nuances of time management and is very supportive. He likes me to win a lot of prizes and awards. I am Uday Shankar Singh, presently working as Associate Professor of Community Medicine at Pramukhswami Medical College, Karamsad. I have a special interest in geriatric care, as I feel that with increasing life expectancy this is the group thatis going to be highly neglected at all fronts. I am trying to start a course for MBBS students focusing on better care for geriatric age group. I am in charge of the undergraduate and postgraduate teaching plan and quality improvements with innovative ideas in my department. My wife is a school teacher and I have one son and one daughter. I am trying to maintain one hour of physical activity in the form of walking and playing. I love to watch Hindi movies for relaxation. I am Vivek Verma, presently working as an associate professor in the Depatment of Physiology at Pramukhswami Medical College, Karamsad. I have a special interest in small group learning methods for medical students. I am practicing and trying to improve these teaching methods. My wife is an Ayurvedic doctor; we have a young son. I am very much interested in music. I am a graduate in Indian classical (vocal) music and had been singing for All India Radio (AIR) Bhopal and Doordarshan and, here at Karamsad, I guide amateur musicians to sing in our college functions and outside. I love to sing all kinds of songs for entertainment and relaxation. I had been a painter also, but nowadays I don’t get much time to continue this hobby of mine. I love to watch TV.